We have some exciting news courtesy of Pony Power’s good friend, New York Times bestselling author Harlan Coben! Harlan’s newest book, Run Away, hits the shelves today, March 19. He is embarking on a cross country tour, hosting meet & greets and book signings along the way. Here’s where we come in. 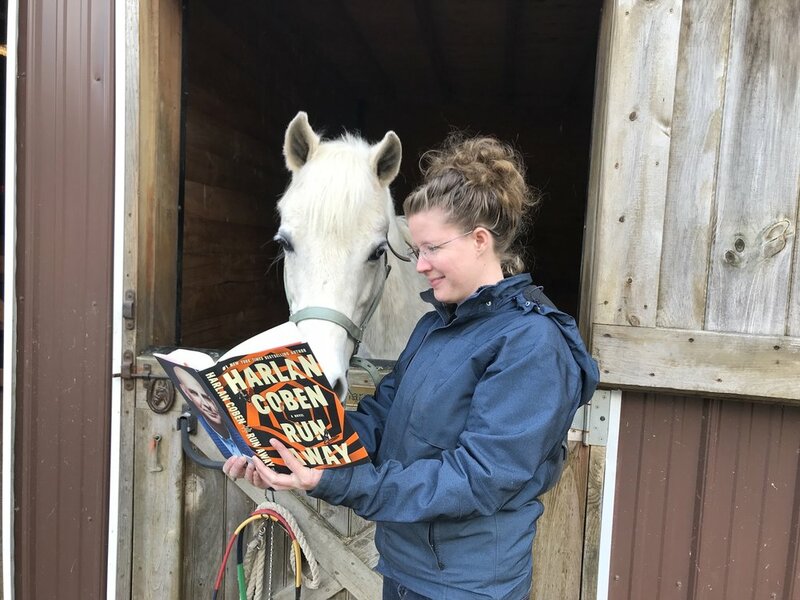 Harlan is generously donating $5 of every book purchased at his tour events to support two of his favorite charities – Pony Power Therapies and The Michael J. Fox Foundation for Parkinson’s Research! How awesome is that? We are honored to be chosen as a recipient of the proceeds. Harlan and his family are already amazing supporters of Pony Power: his wife Dr. Anne Armstrong-Coben sits on our Board and their kids have volunteered on the farm for years. Thank you, Coben Family, for all you do! We hope to see some of you at Harlan’s signing at Barnes and Noble on Route 17 in Paramus on Thursday, March 28 at 7pm. He’ll be talking about Run Away with Harry Carson, former New York Giants linebacker.